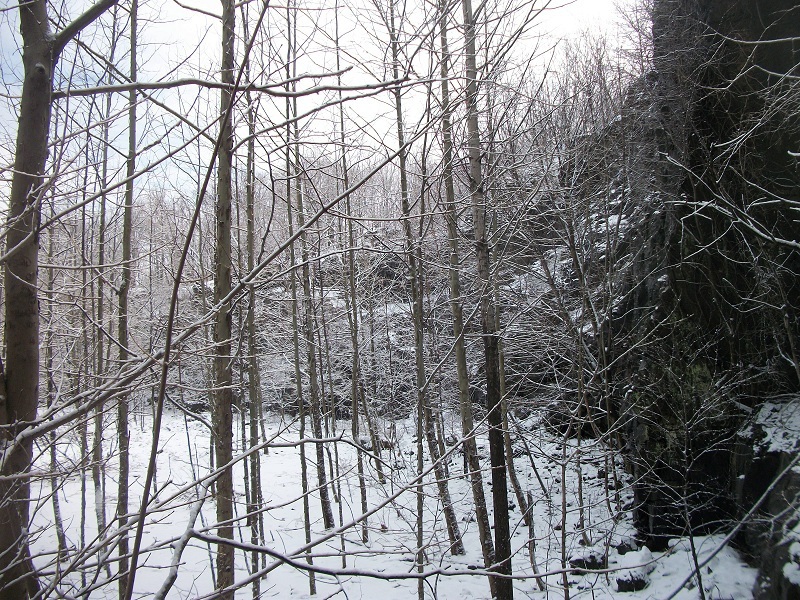 A trap rock quarry in Watchung Basalt worked between 1900 and 1936. 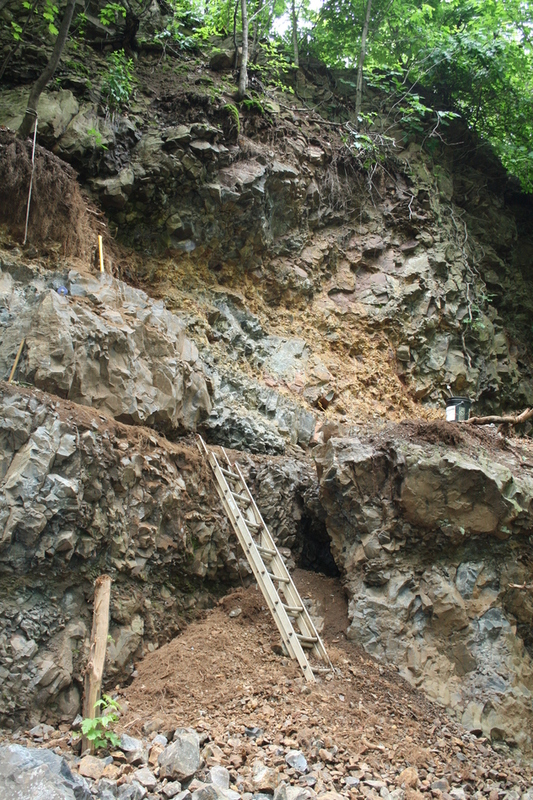 The New Street quarries exploited an area of the basalt that was extruded over a probable shallow wetland or lake, thus the lava cooled in pillows. 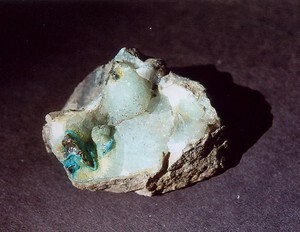 The large interstitial spaces between the pillows yielded superb minerals. Reference: NJ Geol. Survey Bull. 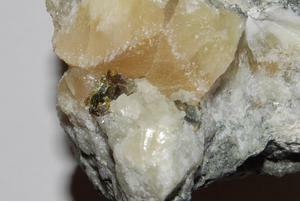 #64, Trap Rock Minerals of NJ, Mason, B. (1960). 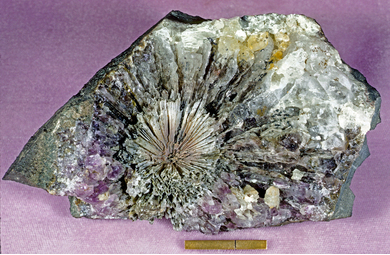 Reference: Mineralogical Record: 9:157-179., Peters, T.A. & Peters, J.J. (1978). Reference: Ref. 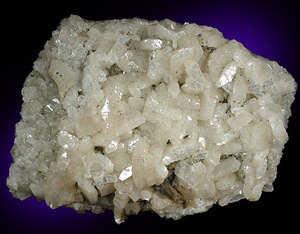 :Mineral Collector 15: 113-118, Papke, H. (1908); Mineralogical Record: 9:157-179., Peters, T.A. & Peters, J.J. (1978). Reference: American Museum of Nat. 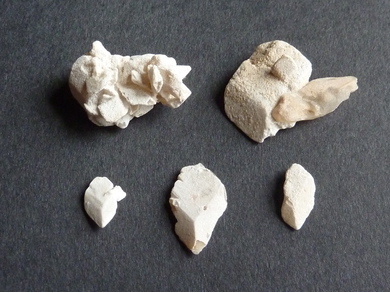 History, NY, specimen; Rocks & Min. : 59: 157-183. 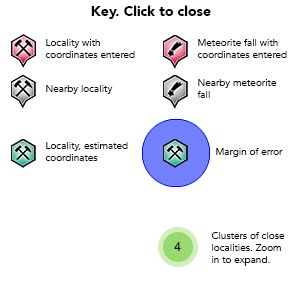 Reference: NJ Geol. Survey Bull. 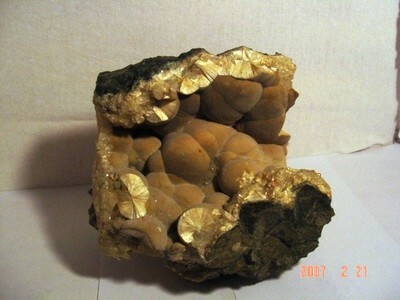 #64, Trap Rock Minerals of NJ, Mason, B. 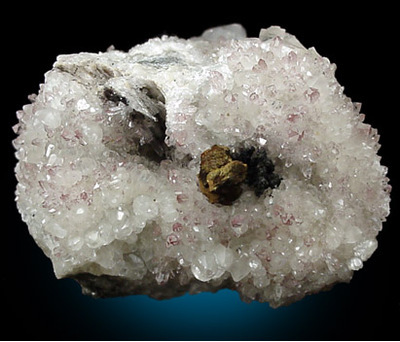 (1960); Mineralogical Record: 9:157-179., Peters, T.A. 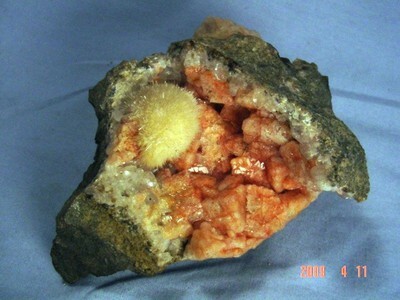 & Peters, J.J. (1978); Rocks & Min. : 59: 157-183 (1984), Peters, Joseph J. Reference: Peters, Joseph J. 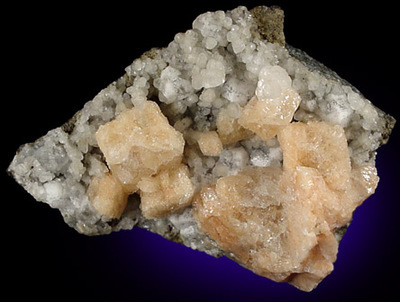 (1984), Triassic Traprock Minerals of New Jersey, Rocks & Minerals (July-August): 59: 173. 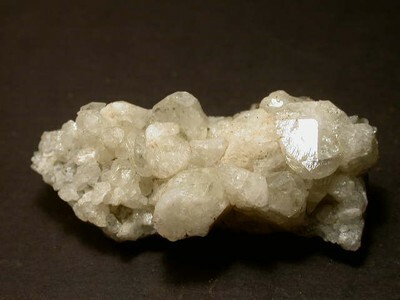 Reference: Mineralogical Record: 9:157-179., Peters, T.A. & Peters, J.J. (1978); Rocks & Min. : 59:157-183, Peters, Joseph J. (1984). 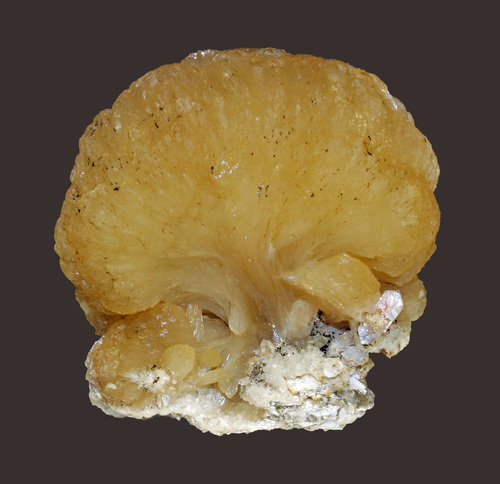 Reference: Mineralogical Record: 9:157-179., Peters, T.A. & Peters, J.J. (1978); Rocks & Min. : 59:157-183, Peters, Jospeh J. (1984). Reference: Ref. :Mineral Collector 15: 113-118, Papke, H. (1908). 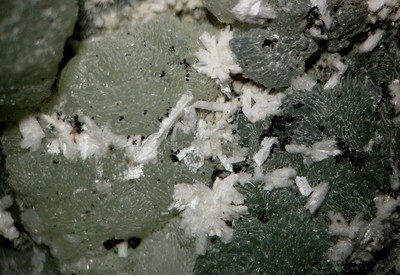 Habit: Large botryopidal aggregates of prehnite, sometimes showing good terminations. 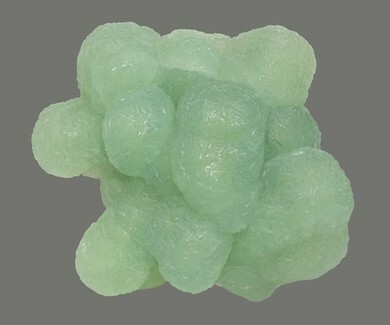 Colour: Various shades of light to medium green, rarely yellow or white. Reference: Ref. 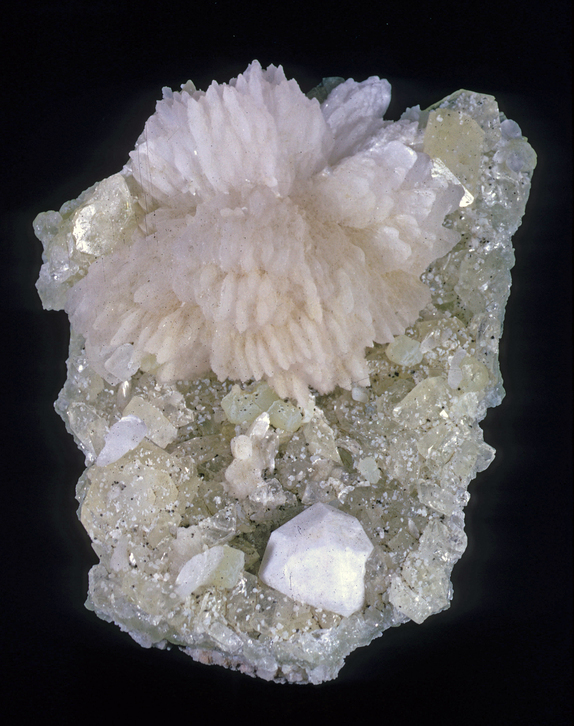 :Mineral Collector 15: 113-118, Papke, H. (1908); Mineralogical Record: 9:157-179., Peters, T.A. & Peters, J.J. (1978); Rocks & Min. : 59: 157-183 (1984), Peters, Joseph J. Reference: Rocks & Min. :59:157-183, Peters, Joseph J. (1984); Amer. Museum of Nat. History, NY, specimen. Reference: Rocks & Min. : 59: 157-183 (1984), Peters, Joseph J.; Amer. Museum of Nat. History, NY, specimen. 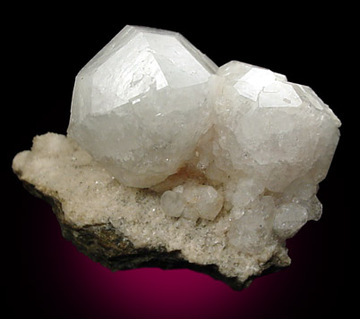 Habit: Bladed crystals arranged in hemispherical clusters to 6 cm. 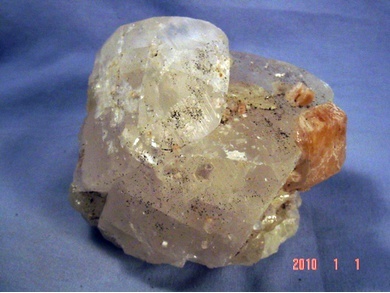 Papke, H. (1908), Mineral Collector: 15: 113-118. Mason, B. 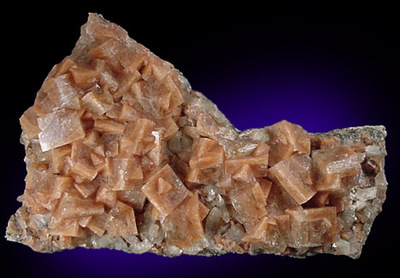 (1960), Trap Rock Minerals of New Jersey, New Jersey Geological Survey Bull. #64. Peters, T.A. 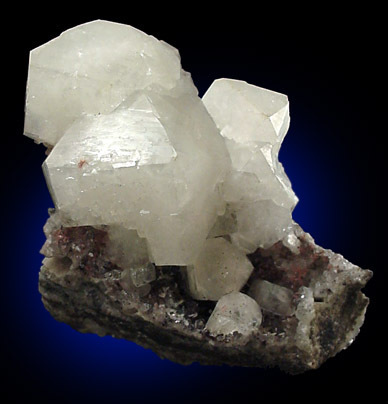 & Peters, J.J. (1978), Mineralogical Record: 9: 157-179. 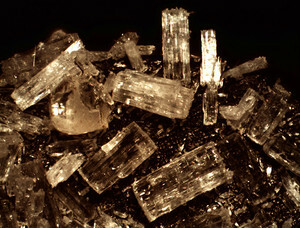 Peters, J.J. (1984) Rocks & Minerals: 59: 157-183. 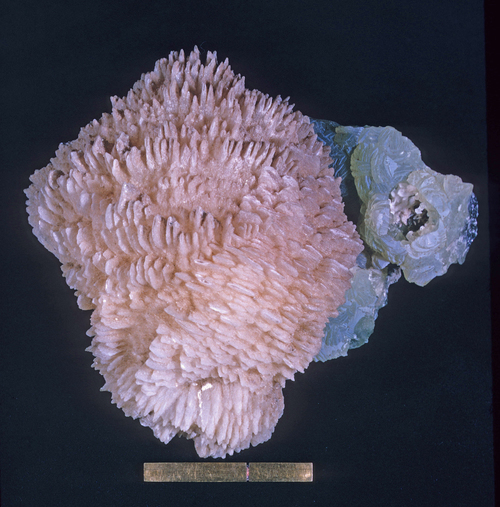 Tschernich, R. (1992), Zeolites of the World, 115.